Effects of qigong exercise on fatigue, anxiety, and depressive symptoms of patients with chronic fatigue syndrome-like illness: a randomized controlled trial. Evid Based Complement Alternat Med. 2013; 2013:485341. Epub 2013 Jul 31. By Chan JS, Ho RT, Wang CW, Yuen LP, Sham JS, Chan CL. from Centre on Behavioral Health, The University of Hong Kong, Hong Kong. Background. Anxiety/depressive symptoms are common in patients with chronic fatigue syndrome- (CFS-) like illness. 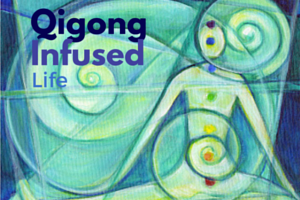 Qigong as a modality of complementary and alternative therapy has been increasingly applied by patients with chronic illnesses, but little is known about the effect of Qigong on anxiety/depressive symptoms of the patients with CFS-like illness. Purpose. 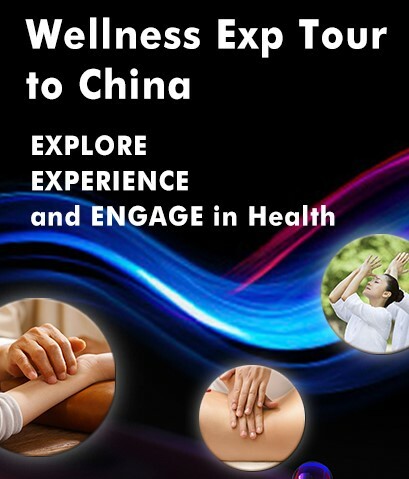 To investigate the effects of Qigong on fatigue, anxiety, and depressive symptoms in patients with CFS-illness. Methods. One hundred and thirty-seven participants who met the diagnostic criteria for CFS-like illness were randomly assigned to either an intervention group or a waitlist control group. Participants in the intervention group received 10 sessions of Qigong training twice a week for 5 consecutive weeks, followed by home-based practice for 12 weeks. Fatigue, anxiety, and depressive symptoms were assessed at baseline and postintervention. Results. Total fatigue score [F(1,135) = 13.888, P < 0.001], physical fatigue score [F(1,135) = 20.852, P < 0.001] and depression score [F(1,135) = 9.918, P = 0.002] were significantly improved and mental fatigue score [F(1,135) = 3.902, P = 0.050] was marginally significantly improved in the Qigong group compared to controls. The anxiety score was not significantly improved in the Qigong group. Conclusion. Qigong may not only reduce the fatigue symptoms, but also has antidepressive effect for patients with CFS-like illness. Effectiveness of T’ai Chi and Qigong on Chronic Obstructive Pulmonary Disease: A Systematic Review and Meta-Analysis. J Altern Complement Med. 2013 Aug 20. [Epub ahead of print] by Ding M, Zhang W, Li K, Chen X. from College of Physical Education, Shandong Normal University , Jinan, China . 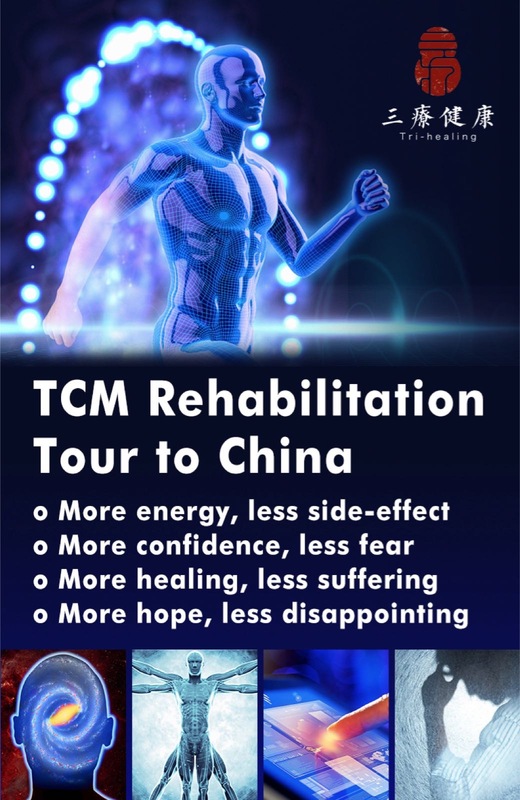 Purpose: The purpose of this study is to determine the effects of Chinese traditional exercise such as t’ai chi and qigong (TCQ) on patients with chronic obstructive pulmonary disease (COPD). Methods: All prospective, randomized, controlled clinical trials, published in English or Chinese and involving the use of TCQ by patients with COPD, were searched in 10 electronic databases from their respective inceptions to July 2012. The methodological quality of all studies was assessed using the Jadad score. The selection of studies, data extraction, and quality assessment were performed independently by two raters. Results: In the results, 10 trials met the inclusion criteria and were reviewed. The meta-analysis demonstrated that compared with no exercise, TCQ had significant effects on 6-minute walk distance, forced expiratory volume in 1 second (FEV1), predicted FEV1 percentage, and St. George’s Respiratory Questionnaire score. There were no significant differences in all outcomes between TCQ and other exercise training except 6-minute walk distance. Conclusions: In conclusion, TCQ might be beneficial with respect to physical performance, lung function, remission of dyspnea, and quality of life in patients with COPD; however, caution is needed to draw a firm conclusion because of the low methodological quality of the included trials. Psychosocial and Cardiac Outcomes of Yoga for ICD Patients: A Randomized Clinical Control Trial. Pacing Clin Electrophysiol. 2013 Aug 26. By Toise SC, Sears SF, Schoenfeld MH, et al. from Yale-New Haven Hospital, New Haven, Connecticut. BACKGROUND: Because as many as 46% of implantable cardioverter defibrillator (ICD) patients experience clinical symptoms of shock anxiety, this randomized controlled study evaluated the efficacy of adapted yoga (vs usual care) in reducing clinical psychosocial risks shown to impact morbidity and mortality in ICD recipients. METHODS: Forty-six participants were randomized to a control group or an 8-week adapted yoga group that followed a standardized protocol with weekly classes and home practice. Medical and psychosocial data were collected at baseline and follow-up, then compared and analyzed. RESULTS: Total shock anxiety decreased for the yoga group and increased for the control group, t(4.43, 36), P < 0.0001, with significant differences between these changes. Similarly, consequential anxiety decreased for the yoga group but increased for the control group t(2.86,36) P = 0.007. Compared to the control, the yoga group had greater overall self-compassion, t(-2.84,37), P = 0.007, and greater mindfulness, t(-2.10,37) P = 0.04, at the end of the study. Exploratory analyses utilizing a linear model (R2 = 0.98) of observed device-treated ventricular (DTV) events revealed that the expected number of DTV events in the yoga group was significantly lower than in the control group (P < 0.0001). Compared to the control, the yoga group had a 32% lower risk of experiencing device-related firings at end of follow-up. CONCLUSIONS: Our study demonstrated psychosocial benefits from a program of adapted yoga (vs usual care) for ICD recipients. These data support continued research to better understand the role of complementary medicine to address ICD-specific stress in cardiac outcomes. Multicenter, Randomized Controlled Trial of Yoga for Sleep Quality Among Cancer Survivors. J Clin Oncol. 2013 Aug 12. [Epub ahead of print] by Mustian KM, Sprod LK, Janelsins M, et al. from University of Rochester Medical Center, Rochester, NY; and other institutes. PURPOSE: Thirty percent to 90% of cancer survivors report impaired sleep quality post-treatment, which can be severe enough to increase morbidity and mortality. Lifestyle interventions, such as exercise, are recommended in conjunction with drugs and cognitive behavioral therapy for the treatment of impaired sleep. Preliminary evidence indicates that yoga-a mind-body practice and form of exercise-may improve sleep among cancer survivors. The primary aim of this randomized, controlled clinical trial was to determine the efficacy of a standardized yoga intervention compared with standard care for improving global sleep quality (primary outcome) among post-treatment cancer survivors. PATIENTS & METHODS: In all, 410 survivors suffering from moderate or greater sleep disruption between 2 and 24 months after surgery, chemotherapy, and/or radiation therapy were randomly assigned to standard care or standard care plus the 4-week yoga intervention. The yoga intervention used the Yoga for Cancer Survivors (YOCAS) program consisting of pranayama (breathing exercises), 16 Gentle Hatha and Restorative yoga asanas (postures), and meditation. Participants attended two 75-minute sessions per week. Sleep quality was assessed by using the Pittsburgh Sleep Quality Index and actigraphy pre- and postintervention. RESULTS: In all, 410 survivors were accrued (96% female; mean age, 54 years; 75% had breast cancer). Yoga participants demonstrated greater improvements in global sleep quality and, secondarily, subjective sleep quality, daytime dysfunction, wake after sleep onset, sleep efficiency, and medication use at postintervention (all P ≤ .05) compared with standard care participants. CONCLUSION: Yoga, specifically the YOCAS program, is a useful treatment for improving sleep quality and reducing sleep medication use among cancer survivors. Effectiveness of controlled breathing techniques on anxiety and depression in hospitalized COPD: a randomized clinical trial. Respir Care. 2013 Jul 23. By Valenza MC, Valenza-Peña G, Torres-Sánchez I, et al. from Physical Therapy Department, University of Granada, Granada, Spain. BACKGROUND: Anxiety and depression are highly prevalent comorbid complications in COPD. Breathing techniques can improve anxiety and depression in subjects hospitalized due to COPD exacerbation. We conducted a randomized clinical study using two groups. The sample comprised 46 male patients aged 67-86 years hospitalized with acute COPD exacerbation. Patients were randomly and equally divided into the control and controlled breathing intervention groups.The sample comprised 46 male patients aged 67-86 years hospitalized with acute COPD exacerbation. Patients were randomly and equally divided into the control and controlled breathing intervention groups. METHODS: Baseline and post-intervention recordings of Dyspnea, Anxiety and depression, Quality of life (SGRQ and EURQoL), Respiratory pressures (PImax-PEmax), Hand-grip test and Sleep quality were taken in all subjects. Subjects hospitalized due to acute COPD exacerbation showed high levels of dyspnea and low values in overall quality of life as measured with the St. George’s Respiratory Questionnaire (SGRQ). RESULTS: Controlled breathing techniques had a significant effect on dyspnea, anxiety and mobility (p<0.05). All the measured areas were improved in the intervention group. The control group had poorer values in all the areas after the hospitalization period. CONCLUSIONS: Controlled breathing exercises benefit patients hospitalized due to COPD exacerbation in anxiety and depression values. The effect of qigong on depressive and anxiety symptoms: a systematic review and meta-analysis of randomized controlled trials. Evid Based Complement Alternat Med. 2013;2013:716094. By Wang CW, Chan CL, Ho RT, et al. From Centre on Behavioral Health, The University of Hong Kong. Objective. 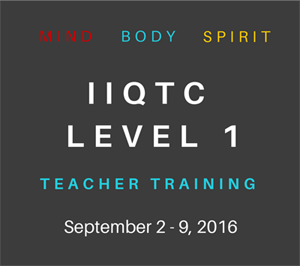 To evaluate clinical trial evidence of the effectiveness of qigong exercise on depressive and anxiety symptoms. Methods. Thirteen databases were searched from their respective inception through December 2012. Relevant randomized controlled trials (RCTs) were included. Effects of qigong across trials were pooled. Standardized mean differences (SMDs) were calculated for the pooled effects. Heterogeneity was assessed using the I (2) test. Study quality was evaluated using the Wayne Checklist. Results. Twelve RCTs met the inclusion criteria. The results of meta-analyses suggested a beneficial effect of qigong exercise on depressive symptoms when compared to waiting-list controls or usual care only (SMD = -0.75; 95% CI, -1.44 to -0.06), group newspaper reading (SMD = -1.24; 95% CI, -1.64 to -0.84), and walking or conventional exercise (SMD = -0.52; 95% CI, -0.85 to -0.19), which might be comparable to that of cognitive-behavioral therapy (P = 0.54). Available evidence did not suggest a beneficial effect of qigong exercise on anxiety symptoms. Conclusion. Qigong may be potentially beneficial for management of depressive symptoms, but the results should be interpreted with caution due to the limited number of RCTs and associated methodological weaknesses. Further rigorously designed RCTs are warranted. 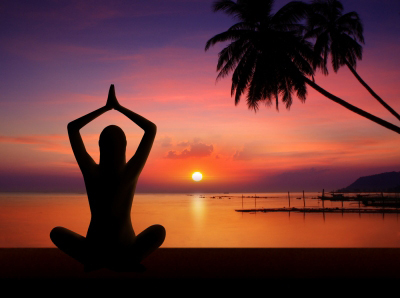 YOGA FOR DEPRESSION: A SYSTEMATIC REVIEW AND META-ANALYSIS. Depress Anxiety. 2013 Aug 6. [Epub ahead of print] by Cramer H, Lauche R, Langhorst J, Dobos G. from Dept of Internal and Integrative Medicine, Faculty of Medicine, University of Duisburg-Essen, Essen, Germany. 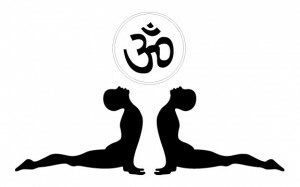 BACKGROUND: Mind-body medical interventions are commonly used to cope with depression and yoga is one of the most commonly used mind-body interventions. The aim of this review was to systematically assess and meta-analyze the effectiveness of yoga for depression. METHODS: Medline/PubMed, Scopus, the Cochrane Library, PsycINFO, and IndMED were searched through January 2013. Randomized controlled trials (RCTs) of yoga for patients with depressive disorders and individuals with elevated levels of depression were included. Main outcomes were severity of depression and remission rates, secondary outcomes were anxiety, quality of life, and safety. RESULTS: Twelve RCTs with 619 participants were included. Three RCTs had low risk of bias. Regarding severity of depression, there was moderate evidence for short-term effects of yoga compared to usual care (standardized mean difference (SMD) = -0.69; 95% confidence interval (CI) -0.99, -0.39; P < .001), and limited evidence compared to relaxation (SMD = -0.62; 95%CI -1.03, -0.22; P = .003), and aerobic exercise (SMD = -0.59; 95% CI -0.99, -0.18; P = .004). Limited evidence was found for short-term effects of yoga on anxiety compared to relaxation (SMD = -0.79; 95% CI -1.3, -0.26; P = .004). Subgroup analyses revealed evidence for effects in patients with depressive disorders and in individuals with elevated levels of depression. Due to the paucity and heterogeneity of the RCTs, no meta-analyses on long-term effects were possible. No RCT reported safety data. CONCLUSIONS: Despite methodological drawbacks of the included studies, yoga could be considered an ancillary treatment option for patients with depressive disorders and individuals with elevated levels of depression. Effects of Qigong Exercise on Upper Limb Lymphedema and Blood Flow in Survivors of Breast Cancer: A Pilot Study. Integr Cancer Ther. 2013 Jun 7. By Fong SS, Ng SS, Luk WS, et al. from Institute of Human Performance, The University of Hong Kong, Hong Kong. Abstract: Hypothesis. Qigong exercise is a popular method for relieving the side effects of conventional cancer treatments in survivors of breast cancer, yet its effects are not empirically assessed. This study aimed to investigate the effects of qigong exercise on upper limb lymphedema, arterial resistance, and blood flow velocity in survivors with breast cancer and mastectomy. STUDY DESIGN: This study was conducted as a prospective clinical trial. METHODS: Eleven survivors of breast cancer with qigong experience (mean age = 58.3 ± 10.1 years) were assigned to the experimental group and 12 survivors of breast cancer without qigong experience (mean age = 53.8 ± 4.2 years) were assigned to the control group. They all had breast cancer-related lymphedema. All procedures were completed within one session. 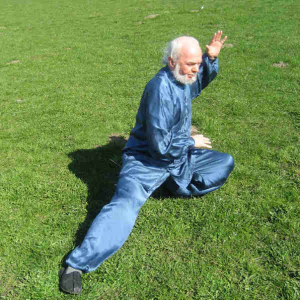 After baseline measurements were taken, the experimental group performed 18 Forms Tai Chi Internal Qigong for approximately 6 minutes while the control group rested for similar duration in a sitting position. Both groups were then reassessed. All participants were measured on their affected upper limb circumference (by using tape measures), peripheral arterial resistance, and blood flow velocities (using a Doppler ultrasound machine). RESULTS: The between-group differences were not significant for all outcome measures at baseline (P > .05). The circumferences of the affected upper arm, elbow, forearm and wrist decreased after qigong exercise (P < .05). However, no significant difference was found in the circumference measures between the 2 groups posttest (P > .0125). In terms of vascular outcomes, the resistance index decreased and the maximum systolic arterial blood flow velocity (SV) and minimum diastolic arterial blood flow velocity (DV) increased significantly after qigong exercise (P < .05). The between-group difference was close to significant for SV (P = .018) and was significant for DV (P < .001) posttest. CONCLUSION: Qigong exercise could reduce conventional cancer therapy side effects such as upper limb lymphedema and poor circulatory status in survivors of breast cancer. However, such effects may be temporary, and further studies must be conducted to explore longer term effects. Effects of yoga therapy on postural stability in patients with schizophrenia-spectrum disorders: A single-blind randomized controlled trial. J Psychiatr Res. 2013 Aug 8. [Epub ahead of print] by Ikai S, Uchida H, Suzuki T, et al. from Dept of Neuropsychiatry, Yamanashi Prefectural Kita Hospital, Yamanashi, Japan; sako0609@gmail.com. INTRODUCTION: Postural instability is a serious concern in patients with schizophrenia-spectrum disorders since it is expected to increase the risk of falls that may lead to fractures. The impact of yoga therapy on postural stability has not been investigated. METHODS: In this eight-week single-blind randomized controlled study with an eight-week follow-up, outpatients with schizophrenia or related psychotic disorder (ICD-10) were randomly assigned to either yoga therapy or a control group. In the yoga therapy group, the subjects received weekly sessions of 60-min yoga therapy for eight weeks in addition to their ongoing treatment. In the control group, the subjects received a weekly regular day-care program. The assessments that were performed at the baseline and endpoint included the Clinical Stabilometric Platform (CSP), anteflexion in standing. RESULTS: Forty-nine patients participated in this study (32 men; mean ± SD age, 53.1 ± 12.3 years): yoga therapy group (n = 25) and control group (n = 24). In the yoga group, significant improvements were observed in a total length of trunk motion, the Romberg ratio, and anteflexion in standing at week 8 (mean ± SD: 63.9 ± 40.7-53.4 ± 26.2 cm, 1.6 ± 0.9-1.1 ± 0.6, and -8.7 ± 9.5 to -3.8 ± 12.4 cm, respectively) while there were no significant changes in the control group. However, those clinical gains returned to the baseline level at week 16. CONCLUSIONS: The results confirmed the beneficial effects of the yoga therapy on postural stability in patients with schizophrenia. However, the therapeutic effects seemed transient, which warrants further investigations on strategies to sustain the improvements. Randomized Controlled Trial of Mindfulness-Based Cancer Recovery Versus Supportive Expressive Group Therapy for Distressed Survivors of Breast Cancer (MINDSET). J Clin Oncol. 2013 Aug 5. [Epub ahead of print] by Carlson LE, Doll R, Stephen J, et al. from Alberta Health Services, Calgary, Alberta; Canada. PURPOSE: To compare the efficacy of the following two empirically supported group interventions to help distressed survivors of breast cancer cope: mindfulness-based cancer recovery (MBCR) and supportive-expressive group therapy (SET). PATIENTS AND METHODS: This multisite, randomized controlled trial assigned 271 distressed survivors of stage I to III breast cancer to MBCR, SET, or a 1-day stress management control condition. MBCR focused on training in mindfulness meditation and gentle yoga, whereas SET focused on emotional expression and group support. Both intervention groups included 18 hours of professional contact. Measures were collected at baseline and after intervention by assessors blind to study condition. Primary outcome measures were mood and diurnal salivary cortisol slopes. Secondary outcomes were stress symptoms, quality of life, and social support. RESULTS: Using linear mixed-effects models, in intent-to-treat analyses, cortisol slopes were maintained over time in both SET (P = .002) and MBCR (P = .011) groups relative to the control group, whose cortisol slopes became flatter. Women in MBCR improved more over time on stress symptoms compared with women in both the SET (P = .009) and control (P = .024) groups. Per-protocol analyses showed greater improvements in the MBCR group in quality of life compared with the control group (P = .005) and in social support compared with the SET group (P = .012). CONCLUSION: In the largest trial to date, MBCR was superior for improving a range of psychological outcomes for distressed survivors of breast cancer. Both SET and MBCR also resulted in more normative diurnal cortisol profiles than the control condition. The clinical implications of this finding require further investigation. Effects of meditation on anxiety, depression, fatigue, and quality of life of women undergoing radiation therapy for breast cancer. Complement Ther Med. 2013 Aug;21(4):379-87. By Kim YH, Kim HJ, Ahn SD, Seo YJ, Kim SH. From Dept of Nursing, Asan Medical Center, Seoul, Republic of Korea. OBJECTIVE: To investigate the effects of meditation on anxiety, depression, fatigue, and quality of life in women who are receiving radiation therapy for breast cancer. DESIGN: Randomized, non-program controlled, parallel intervention clinical trial. SETTING: The ASAN Cancer Center located in Seoul, Korea. INTERVENTION: The subjects of this study included 102 female breast cancer patients who had undergone breast-conserving surgery; these female patients were randomized into equally assigned meditation control groups, with each group consisting of 51 patients. The test group received a total of 12 meditation therapy sessions during their 6-week radiation therapy period, and the control group underwent only a conventional radiation therapy. OUTCOME: The tools used to evaluate the effects of meditation were Hospital Anxiety and Depression scale, Revised Piper Fatigue scale, and European Organization for Research and Treatment of Cancer-Quality of Life Core-30. The results were analyzed based on the principles of intention-to-treat analysis, and, as a corollary analysis, per-protocol analysis was conducted. RESULTS: The breast cancer patients who received meditation therapy compared with the non-intervention group saw improvements in reduction of anxiety (p=.032), fatigue (p=.030), and improvement in global quality of life (p=.028). CONCLUSIONS: Based on the results of this study, an affirmation can be made that meditation can be used as a non-invasive intervention treatment for improving fatigue, anxiety, quality of life, and emotional faculties of women with breast cancer. This entry was posted in Mind-Body Research Update, Research Update and tagged meditation, mind-body, Qigong, research, tai chi. Bookmark the permalink.